Shop now with SHOPBABY and AFTERPAY! SHOPBABY is a locally owned family operated business that enjoys the beautiful community spirit of Lismore and the surrounding areas. Providing Northern Rivers babies with gorgeous Newborn and Baby Shower gifts (such as Sleep Sheep) ob design- Huggie Fox & Sophie the Giraffe) whilst keeping our kids safe with the latest technology in Car Seats, Baby Monitors and Baby Sleep Music. We stock the Ergobaby Carrier 360 which features four versatile options for carrying your baby including inward facing, outward facing, back carrier and hip position. The 360 Ergo Baby (Adapt in Black) is designed to support both mum and baby with the ideal hip positioning and is recognised as a “hip friendly” product by the International Hip Dysplasia Institute. We also stock the Lille Baby carrier (3D Mesh)which boasts superior ergonomic support for both mum and baby. Find out more about the LillyBaby Carrier in our video. You can also view the popular Hug a Bub products in store or on our website. 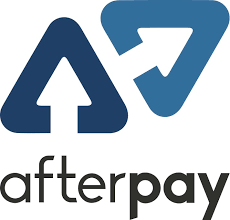 Afterpay available for all online sales. The Love to Dream Swaddle is a favourite among new and experienced parents alike. The swaddle gives baby the feeling of being snuggled so that they can fall asleep peacefully and remain asleep for longer. For babies transitioning out of a swaddle the 50/50 Love to Dream Swaddle allows you to release one arm and then two, to ensure minimum disruption to your baby’s sleep routine. With our car seat fitting and professional baby capsule installation service, you can BOOK CAR SEAT FITTING ONLINE NOW and have the peace of mind that your car seat has been professionally fitted. Or browse our range of carefully selected baby seats which have been chosen by our expert team of car restraint fitters for their safety, ease of fit and durable, washable fabrics (e.g., the superior Maxi Cosi car seat). Please read our blog article for more information on how to install a baby car seat correctly. We know our customers love our friendly and informative service. Shopping at your local baby store is even better when you know you can get the products you want at a great price! So, if you see a cheaper product elsewhere, give us a call, email us or reach out to us on social media (Facebook, Instagram & Pinterest). Shop baby has a large range of ethical baby products for the environmentally conscious family so come in and see our range or enjoy our online shopping experience with secure payment gateway or even use our convenient Afterpay Baby Store Australia service. As locals, we like to support other local businesses so we source directly from O.B.Designs (previously ODBOD Designs) situated in Byron Bay (North of Ballina). 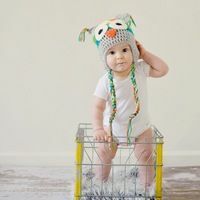 They are passionate about supplying beautifully designed children's products such as hand crochet baby blankets, baby teether toys and soft toys that are perfect for New Born Baby Shower Gifts. We also stock Maddie + Me non-toxic silicone jewellery for Mum which is sourced in the Byron Bay Hinterland. SHOPBABY - Proudly supporting our community of Lismore, Ballina, Grafton, Kyogle, Casino, Maclean, Yamba, Byron Bay, Alstonville, Coraki, Woodburn, Evans Head, Newrybar and Mullumbimby.